"Several years ago I developed a performance called "Street Songs" and was looking for a final piece to close the program. Tim's piece, 'Splash of Blue' (from his Show Stoppers publication), was just what I'd been looking for! Not only did it have great audience appeal, but the students loved it! It was such a fun, colorful closer to the performance. Your students will enjoy working on this piece as well." Put our expertise to work for you! At Viegansong Press, we are proud to have received the following recognition for our contributions to the music teaching community. "Tim Wiegand is an accomplished musician and a creative and engaging Orff teacher. His conference presentation in Spokane was superb---full of energy and well prepared. He has had extensive training and is in increasing demand as a clinician, especially in the area of percussion, his forte. His solid musicianship and his creative energy are evident in his presentations." "I've observed Tim with both children and adults and am quite impressed with his work. He understands good teaching and his creative writing style both challenges and rewards his students. I suspect his new publication will be well received!" Viegansong is currently shipping books to several venders! "Tim's piece 'Splash of Blue' was just what I was looking for!" "I've had the privilege of attending a three day workshop with Tim Wiegand and left each day feeling inspired to incorporate his ideas in my classroom. My students love all of the lessons he shared. I encourage all elementary music teachers to take a workshop with Tim, you won't leave disappointed!" "I recently attended Tim's workshop in San Diego. I had also attended his session at the AOSA conference in Spokane last November. 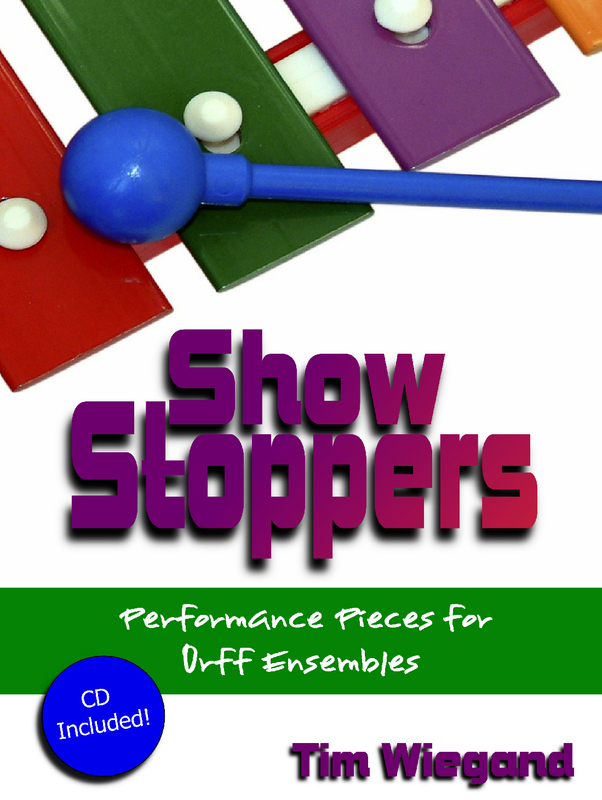 I thoroughly enjoyed them and walked away from both sessions with loads of new teaching ideas for my Orff classes. I especially appreciated Tim's classroom management techniques and immediately adopted his sticker system with a mystery prize day at the end of the year, if the student's reach their goal. My only problem is that they are so well behaved they will reach their goal early!" "I love Tim Wiegand's Music! The children really enjoy working on the more difficult pieces. The best part of using these pieces is that the challenges actually spur children's creativity. It has also helped me as a teacher not to be afraid to try new and difficult things with the children. I feel like his book has really helped them build skills and get a feel for what band might be like next year."